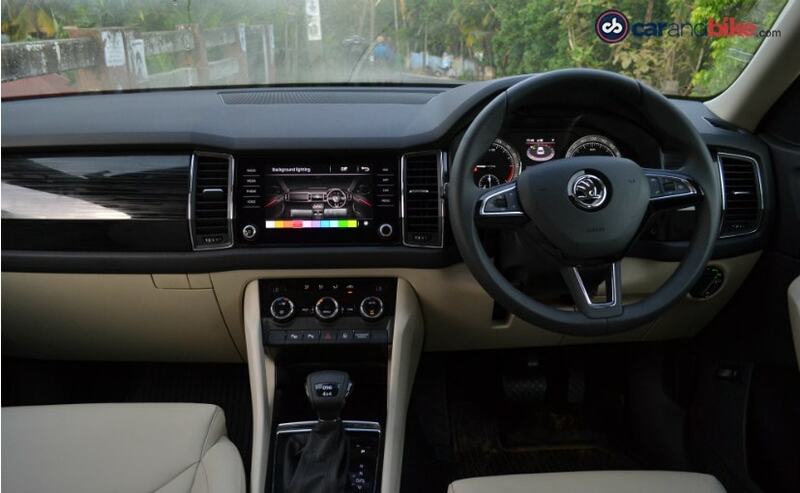 The Skoda Kodiaq takes on the likes of other seven seater SUVs like the popular Toyota Fortuner, Ford Endeavour, Mitsubihi Pajero Sport, Isuzu MU-X and even the smaller Volkswagen Tiguan with which it shares its underpinnings. The SUV is based on the MQB platform and this is the first 7-seater from Skoda India. 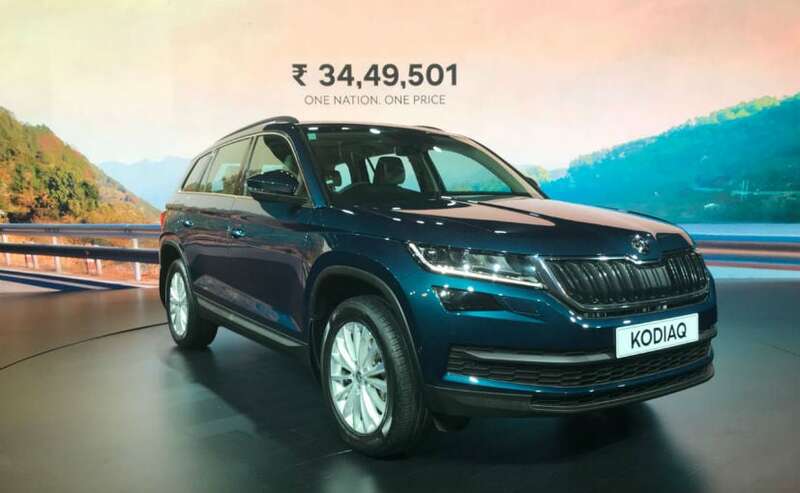 Skoda Kodiaq, the all-new 7-seater SUV from the Czech carmaker has been finally launched in India priced at ₹ 34.49 lakh (ex-showroom, India). Being the first 7-seater from the company, Skoda India is only offering one, full-loaded Style variant of the Kodiaq SUV. With the new full-size Kodiaq, Skoda India will now compete in the territory of the the popular Toyota Fortuner, Ford Endeavour, Mitsubihi Pajero Sport, Isuzu MU-X and even the smaller Volkswagen Tiguan. In fact both the Tiguan and the new Skoda Kodiaq are based on the same MQB platform and get the same underpinnings. 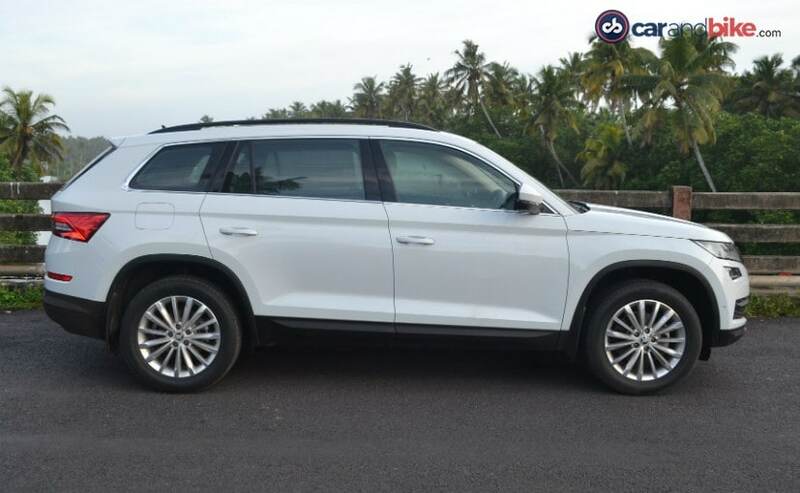 While globally, the Kodiaq is also available in a 5-seater option, in India Skoda India will offer the SUV only in the seven seat configuration. The Skoda Kodiaq apes the design language we have seen on all new Skoda vehicles. It gets the large and 'in your face' front grille, the uncanny split headlamp cluster that houses LED daytime running light lights and LED headlamps along with large 18-inch wheels. The Kodiaq has a very upright and typically SUV like stance which we feel will be a real bonus for the SUV in India as buyers in that segment are looking for road presence over everything else. 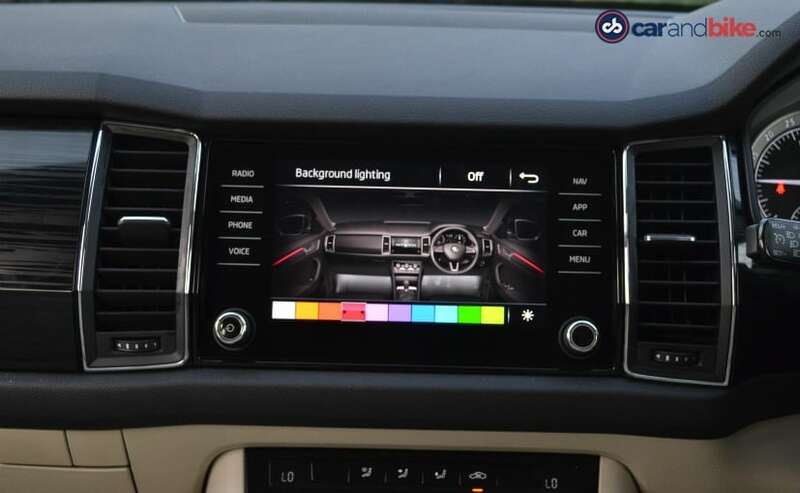 The Skoda Kodiaq also gets a large touchscreen infotainment system on the dashboard that features the likes of inbuilt navigation, Apple CarPlay and Android Auto. The Kodiaq also gets features like an umbrella in the door pockets, a panoramic sunroof, ambient lighting and hands free parking assist. As we mentioned earlier, there is a usable amount of rear leg space and headroom on the last row to comfortably fit two adults. The Kodiaq also comes with a 'sleep package' which equips the rear seat with two flaps on the headrests that can be moved to use as head support. Skoda also provides a set of blankets if you opt for this said seat package. 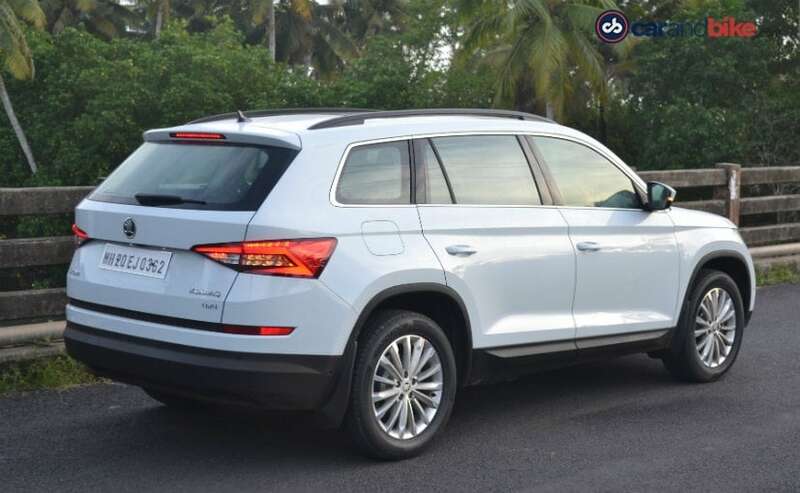 Under the hood is the 2-litre tried and tested diesel engine that we have seen on the likes of the Skoda Octavia, Skoda Superb and several other VW group offerings including the Tiguan SUV. The engine makes 148 bhp and 340 Nm of peak torque and comes mated with a 7-speed DSG gearbox only. There will be no manual gearbox option or even a petrol engine option as of now but you do get all-wheel-drive. Just like the Tiguan, the Kodiaq is also based on the MQB platform. ARAI claimed fuel efficiency stands at 16.25 kmpl.